US equities closed moderately mixed, sp +1.9pts @ 2090 (new high 2093). The two leaders - Trans/R2K, settled higher by 0.2% and 0.3% respectively. 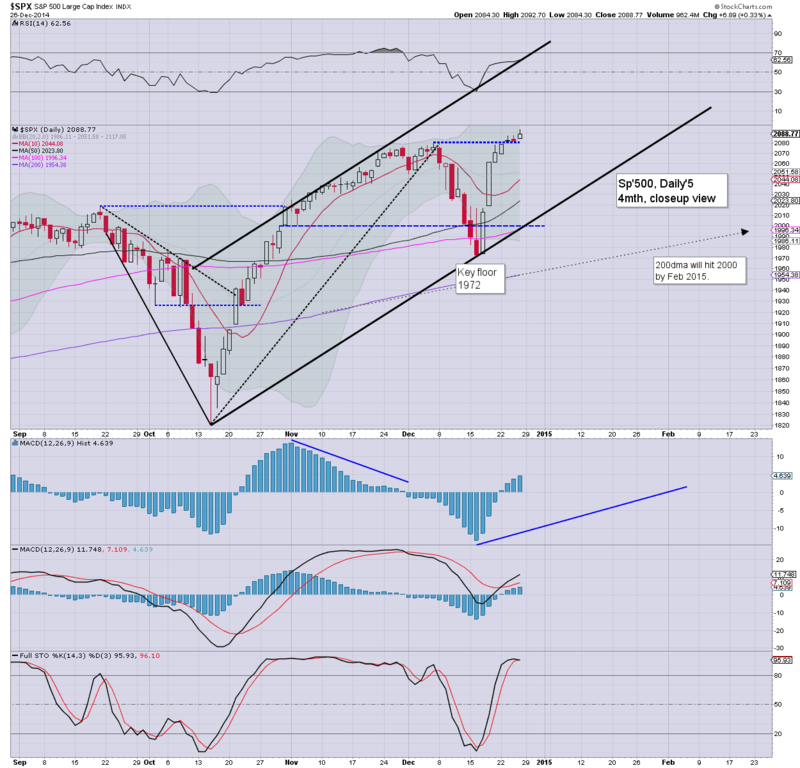 Near term outlook is for continued broad upside into January. 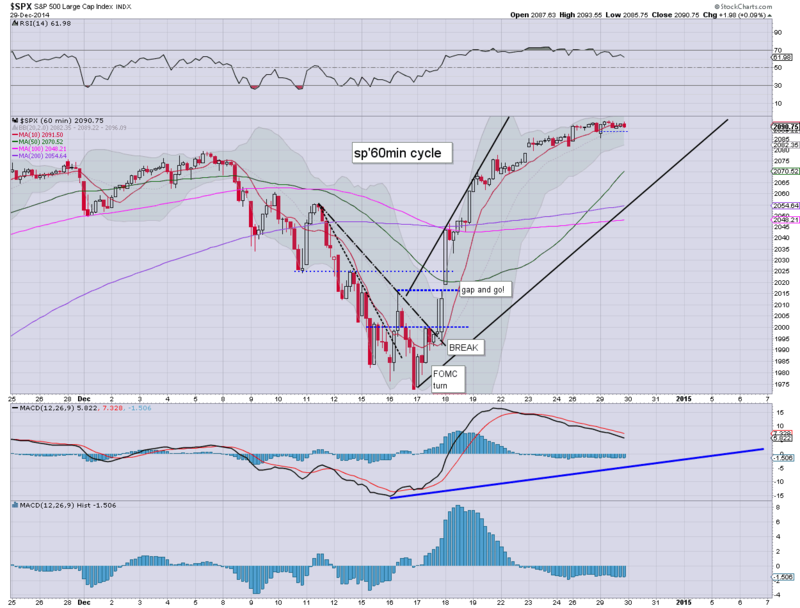 The daily/weekly/monthly cycles are all offering the sp'2130s in first half of January. *notable new historic highs in the sp'500, but arguably even more important.. the R2K (1220). Little to add, on what remains another shortened holiday trading week. Things really won't get back to normal until Jan 5'th. The R2K - having lagged for the entire year, is set for the eighth consecutive net daily gain.. having broken a new historic high of 1220. VIX is holding moderate gains of 7% in the mid 15s, but these remain subdued holiday trading conditions. Metals and Oil are both very weak. More and more are starting to realise the significance of last Friday's breakout in the R2K. Today is the 8th day higher, with the 1300s on the way.... and beyond. 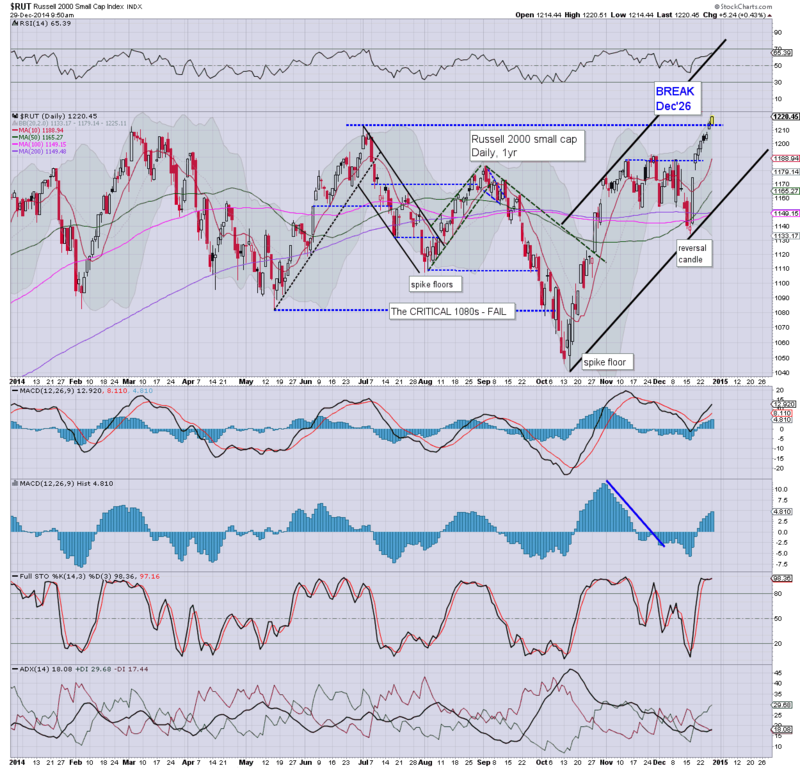 If you assume R2K 1500... then sp'2500 is the natural 'baseline upside target' for next year. No doubt the crash callers will be out in force across Jan/February. Whilst the broader equity market continues to churn... there is notable weakness in the energy market, with a new multi-month low for WTIC Oil of $52.90. 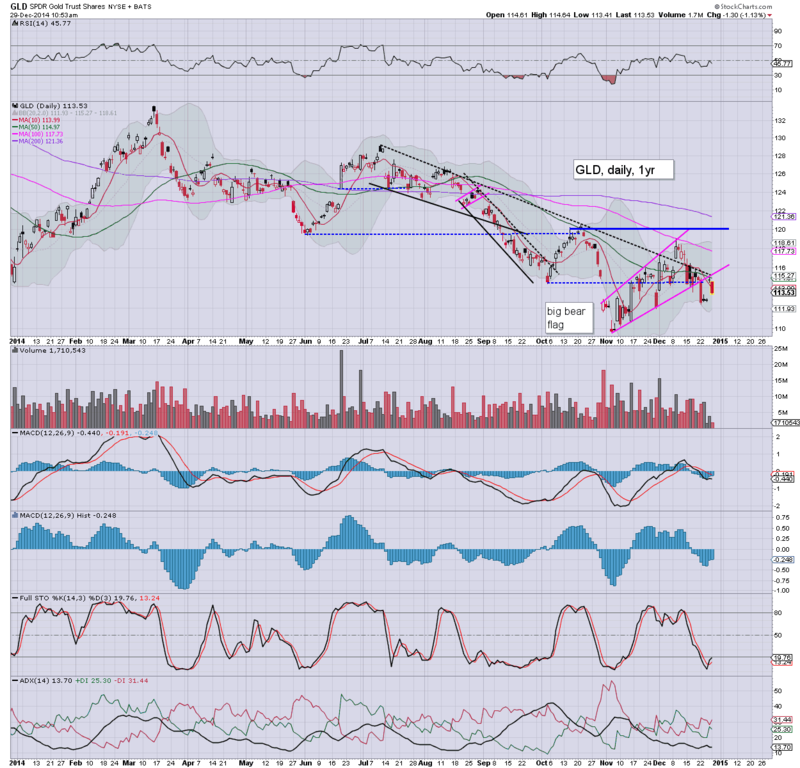 Metals remain similarly weak, Gold -$13. With the micro double floor of Dec 16/18, now taken out... next downside support is the $50 psy level, but many are obviously looking for the mid $40s. Regardless of today's close... the downward trend since June... has resumed. So.. a new high in the sp'500 and R2K... other than that.. it remains a very quiet day. Naturally, the maniacs on Zerohedge are getting overly excited about the latest Greek developments. After all, the end of the financial system is imminent, right? 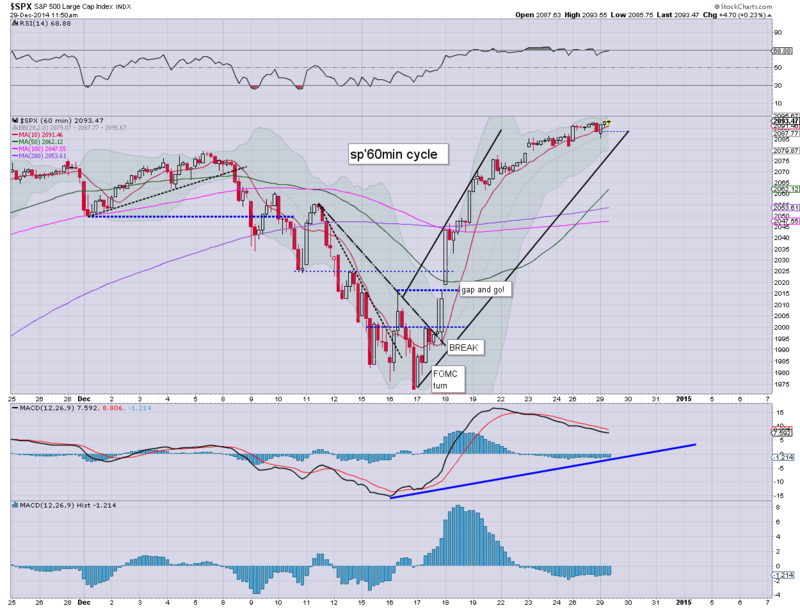 US equities continue to claw broadly higher, with new historic highs in the Sp'500 (2093), and the R2K (1220). 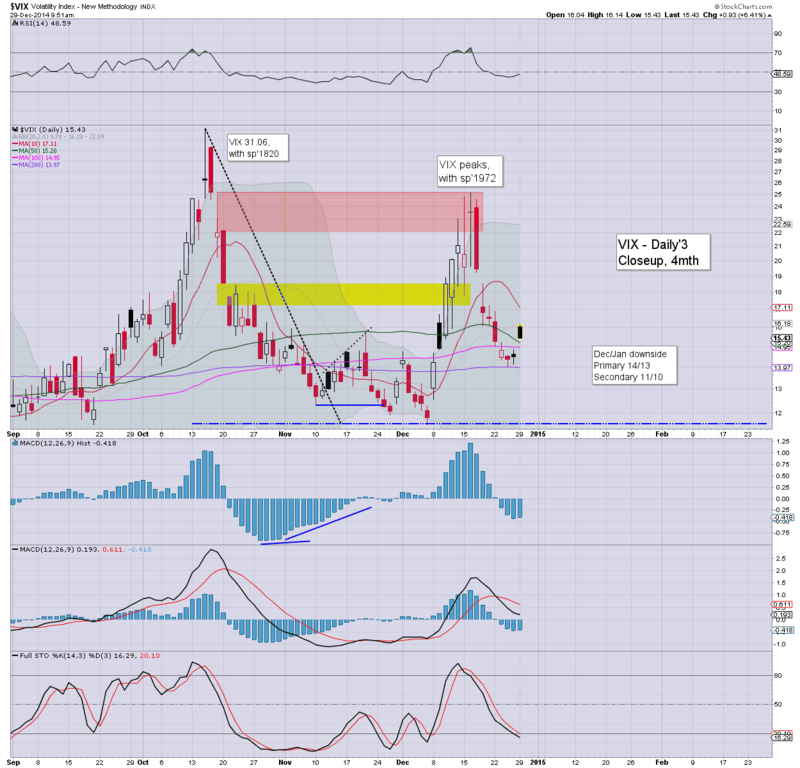 VIX is holding moderate gains, but the 12/11s still look due in the current multi-week up wave. Oil is back to flat.. whilst Gold is on the slide, -$13. 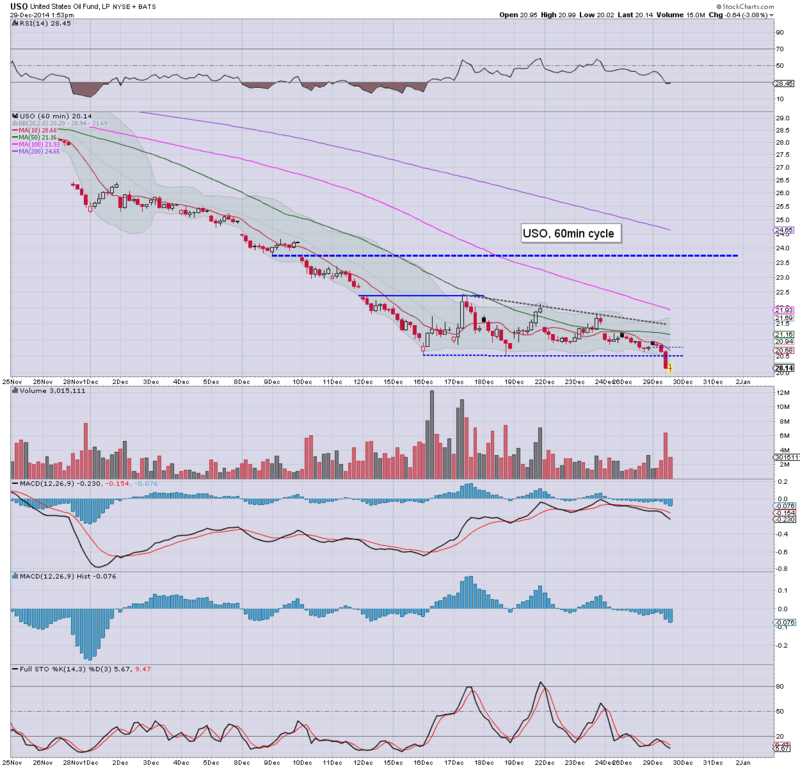 Notable strength: BAC +1%... in the low 18s... cruising to $20.. and beyond. 2015 will be the year for financials. US equities open with some minor chop. The R2K continues to be very notable though, battling upward.. to a new historic high of 1220, near term upside looks to be the 1230s. Oil is holding minor gains, +0.4%. VIX opens higher by 11% to 16.14, but is rapidly cooling. *a notable opening black-fail candle on the VIX to begin the week. It does not bode well for anyone looking for sig' weakness into year end. Little to add.. on what will likely a rather quiet day... in what is just another holiday week. Good morning. Futures are moderately lower, sp -6pts, we're set to open at 2082. Metals are a touch weak, Gold -$1. 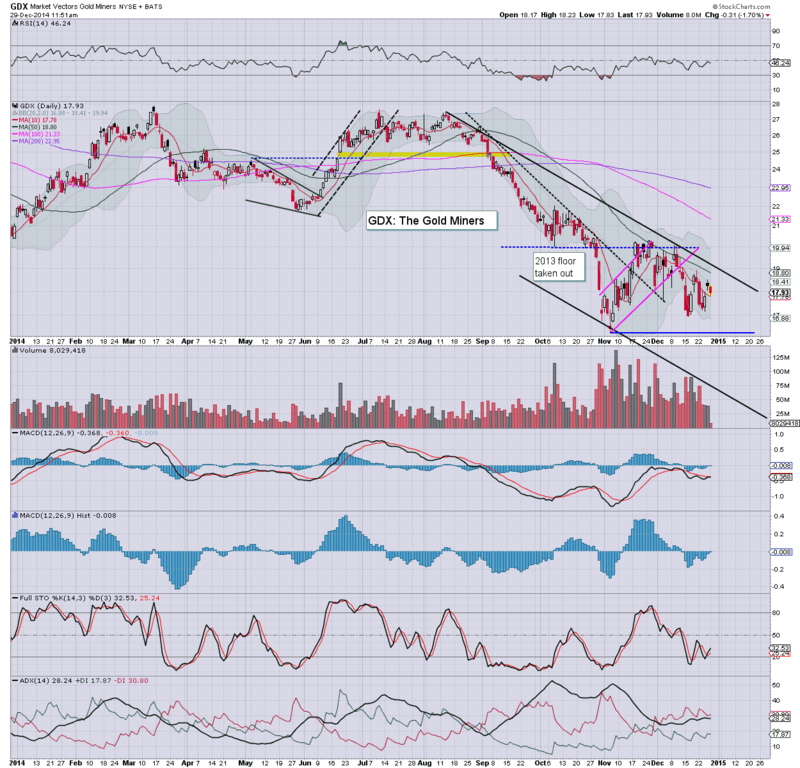 Oil is battling to claw away from the key low of $53.60... +0.7% in the $55s. Despite the likely open, there is still zero reason why the market won't continue broadly climbing across this shortened week. 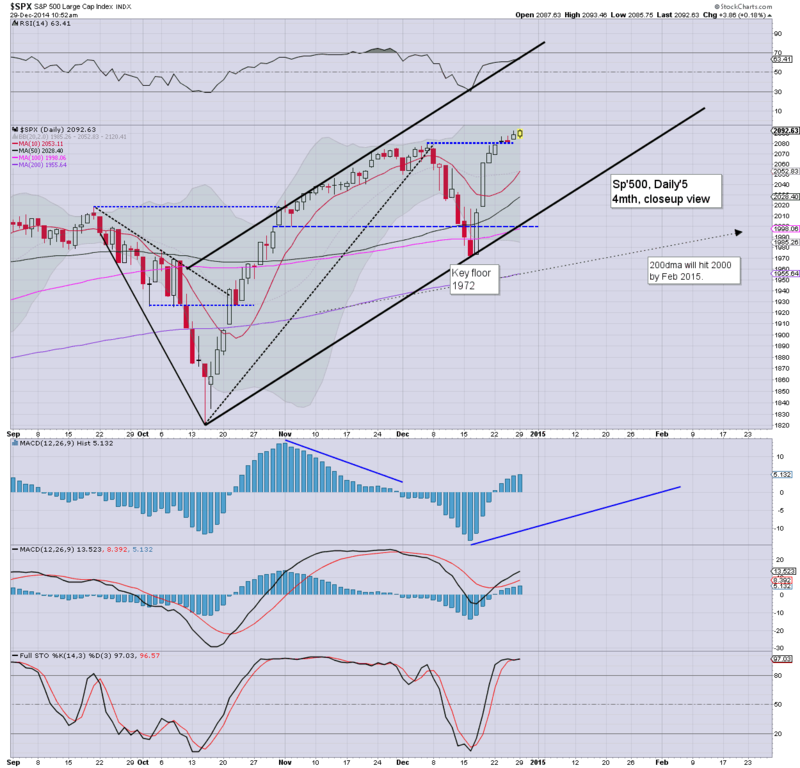 The sp'2100s look due.. if not the 2130/50 zone. *Greek MPs did not give Samaras the necessary support. A general election is now due in January. No doubt, that will rattle some in the EU. *notable early gains... oil/gas drillers, RIG/SDRL, both higher by over 1%.